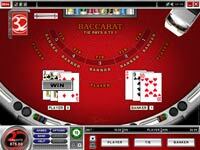 Having replaced their previous Wager Works powered casino with the Playtech platform. Paddy Power has benefited from a much larger range of games. 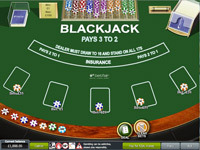 Table games have been much improved and now included some excellent low edge variants like Blackjack Switch and French Roulette. However though their many film and comic book licensed slots games, they simply lack the fun and polish compared to the previous system. When William Hill moved over to a Playtech platform I have to say I was expecting a downgrade in software quality, but Playtech have surprised me, most software platforms tend to neglect a particular area or spam too much in another. Playtech have got a good balance of games and there’s a consistent quality and thought that’s given to each game. The first thing we would like to point out about 32 Red is how enjoyable it is to play over all the other online casinos we have come across. 32 Red have Patsy Kensit doing their dealer’s voice over’s and far from being trivial this enhances your satisfaction no end, and 32 Red may become a favourite. 32 Red is powered by Microgaming’s Viper software which offers automatic optimal play and other advanced betting options which less experienced players may find particularly useful. mummy’s Gold features over 150 games in their download version. 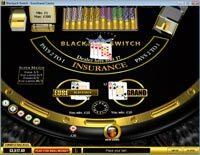 All of the classic table games are available in several variants, which includes French Roulette, a low edge Cyberstud poker and a great Craps table which allows up to 3x supplementary bets. 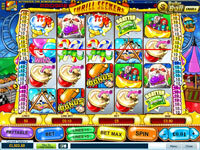 The bulk of these games are Vegas style slots such as ‘Treasure Nile’ with HUGE jackpots, the progressive jackpots quite often hits £2 million. 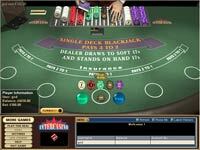 Powered by Cryptologic which is quite comfortably the most realistic of all the casino software platforms. 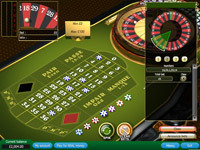 Intercasino have taken casino realism a step further with their superb multiplayer games, which allow players to interact with one another whilst they are sitting at the tables. This makes playing here a truly sociable experience.